SFWA (John Ottinger III) interviews Aliette de Bodard. Geek’s Guide to the Galaxy interviews Robin Hobb (podcast). Civilian Reader interviews Robert Jackson Bennett. Sense of Wonder interviews Ken Liu. The Dabbling Mom Speaks interviews Bryan Thomas Schmidt. Fantasy Author’s Handbook interviews Mats Minnhagen. Reddit interviews John Joseph Adams. Suvudu (Matt Staggs) interviews Anne Rice. The Bluestocking Blog interviews Kay T. Holtand Bart R. Leib. SFFWRTCHT interview with Alex J. Cavanaugh. Finding My Words interviews Benjamin Tate. Amazon Removes Kindle Versions of IPG Books After Distributor Declines to Change Selling Terms. Timothy Zahn’s forthcoming Star Wars novel set in the Original Trilogy era and starring Han Solo will be an Ocean’s Eleven-type heist caper. Iain M. Banks is returning to the Culture setting in his new novel, The Hydrogen Sonata, to be published on October 4th 2012 in the UK by Orbit Books. BVC Announces eBook edition of Guardian of the Trust by Irene Radford. Several Steve Aylett books now available on the Kindle. eBook Giveaway: Strata by Bradley Beaulieu and Stephen Gaskell. Free Kindle eBook (Limited Time): Tucker Teaches the Clockies to Copulate by David Erik Nelson, Chad Sell. Now posted: StarShipSofa No #226 featuring fiction by Dominic Green. Kickstarter Project for dedicated tablet game of interstellar war: Conquest by Blackwell Hird. Filming Is Underway On The New Season Of Bbc America’s Highest Rated Series Doctor Who. World SF Blog on Season of Silly? The King of Elfland’s Second Cousin on Post-scarcity and Realistic Utopia: Where’s the fight? Rachelle Gardner on 13 Ways to Impress an Agent. Juliette Wade on Food, Agriculture and Diet: A Google+ worldbuilding hangout report and The Culture of Oppression: A Google+ worldbuilding hangout report. Janice Hardy on And…End Scene: When to Add a Scene Break. Graham Edwards on Ten Reasons for Writing. Inkpunks (Jake Kerr) on Behind The Scenes of “The Old Equations”. Shimmer Five Authors + Five Questions : Success. Kat Howard on List any publishing credits you might have. Black Gate (Shawl L. Johnson) on Finding the Right Cover Artist for your eBook. John Scalzi on China Can Change the Future of Science Fiction Film. Sci-Fi Fan Letter (Jessica Strider) on Female Armour Done Right. Ian Sales on When men were men and so was science fiction. Futurismic (Paul Raven) on The Future Always Wins. A. Lee Martinez on The Last Emperor (Mollusk Month Post). Steve Umstead on Using profanity in writing – is it necessary, or even missed? Alex Bledsoe (Jennifer Lambe) on picking guests of honor. Tor.com (Cassandra McNeil) on John Carter: Futuristic… and a Century Old. Suvudu (Shawn Speakman) on New eBooks: Returning to Asimov’s Foundation. Axiom’s Edge on Sci Fi Genre Gems: Starlog Magazine (The Classic Years). Functional Nerds (Jaym Gates) reviews Col Buchanan’s Farlander. Functional Nerds (Carrie Cuinn) reviews on Chicks Dig Time Lords edited by Lynne M. Thomas and Tara O’Shea. 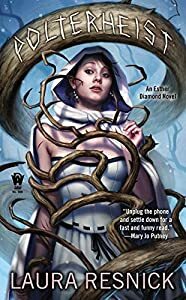 Bryan Thomas Schmidt reviews CassaFire by Alex J. Cavanaugh. Bibliophile Stalker reviews Sleight of Hand by Peter S. Beagle. Screen Junkies lists 5 Space Operas Any Star Wars Fan Will Adore. New Mondo IMAX Poster For Disney’s John Carter. 20+ Pieces of Superhero Mashup Art. Download Free Wallpaper from The Great Hunt Ebook. Concept ship from Cowboys And Aliens by Phil Saunders. @CoolVibe: “WoW – Hellscream” by Rochelle Green. Marooned – Twice Weekly Sci-Fi Space Opera Comic. Image of the Day: Big Bang Theory cast reimagined as Firefly crew.